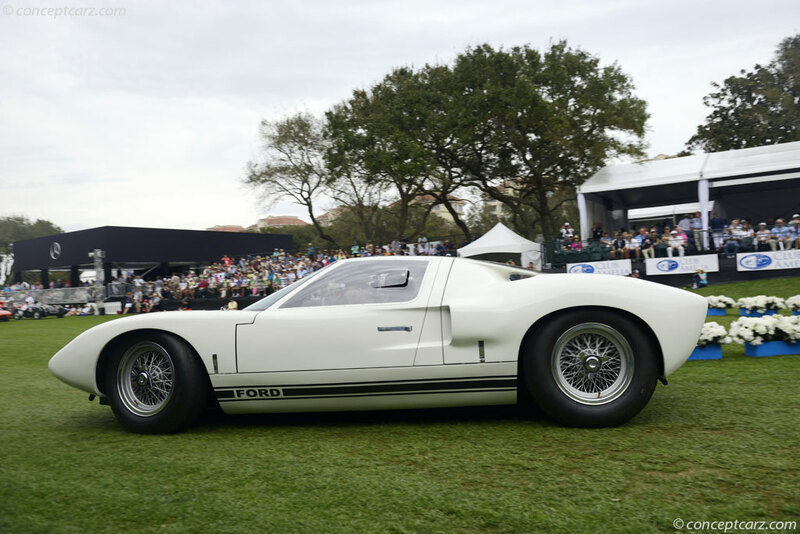 GT40 is a reference to Grand Touring and the overall height of the car, which was 40 inches. 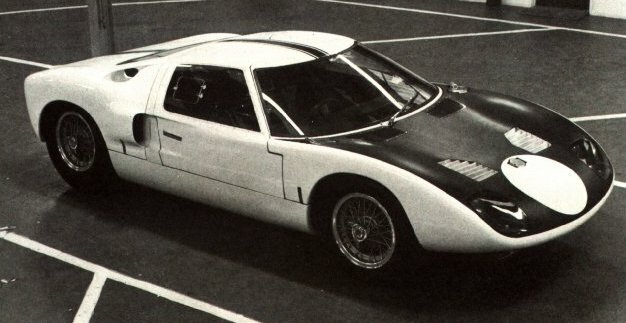 The earlier protypes were simply named 'Ford GT', with chassis numbers GT101 through to GT112. 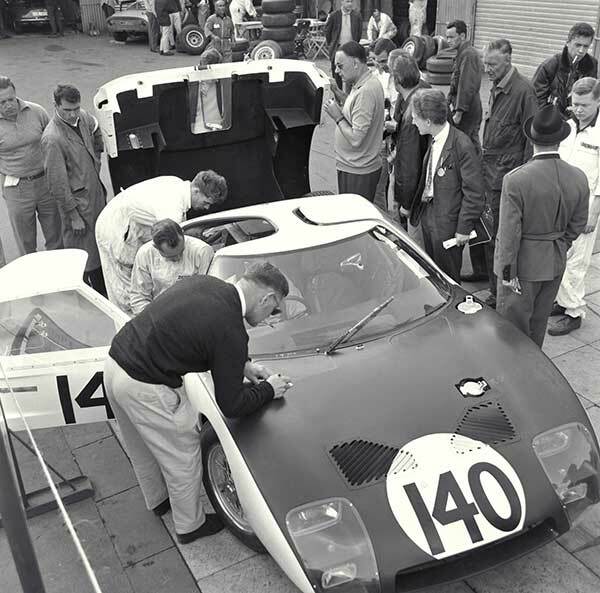 However, as production begun, Ford's project team who were responcible for the preparation of the cars for the international endurance racing named them the 'GT40' with chassis numbers from GT40P/1000 through to GT40P/1145 which covered the MKI to MKIII. While the MKIV chassis numbers were J1 through to J12. The MKI, MKII and MKIII were high performance endurance cars which were built and designed in England, while the MKIV was built in the United States. All models were powered by a series of American-built engines, which won the 24 Hours of Le Mans four consecutive times, from 1966 to 1969 (1966 being the Mk II, 1967 the Mk IV, and 1968-1969 the oldest chassis design, the Mk I), including a 1-2-3 finish in 1966. 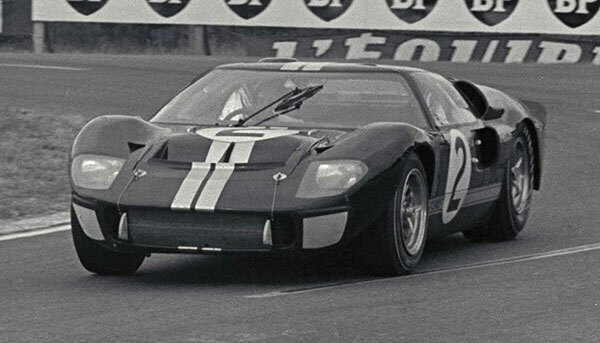 In 1966, with Henry Ford II himself in attendance at Le Mans, the Mk II GT40 provided Ford with the first overall Le Mans victory for an American manufacturer and the first victory for an American manufacturer at a major European race since Jimmy Murphy´s triumph with Duesenberg at the 1921 French Grand Prix. 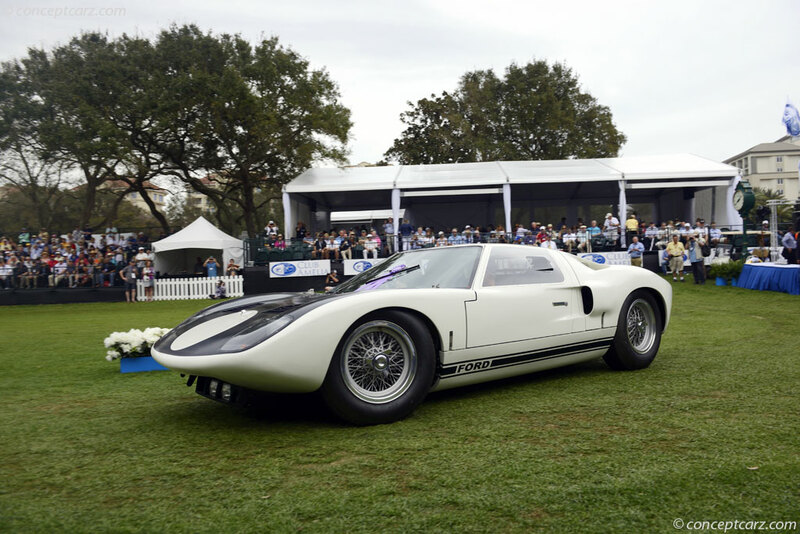 The Mk IV GT40 that won LeMans in 1967 is the only car designed and built entirely in the United States to win the overall title. 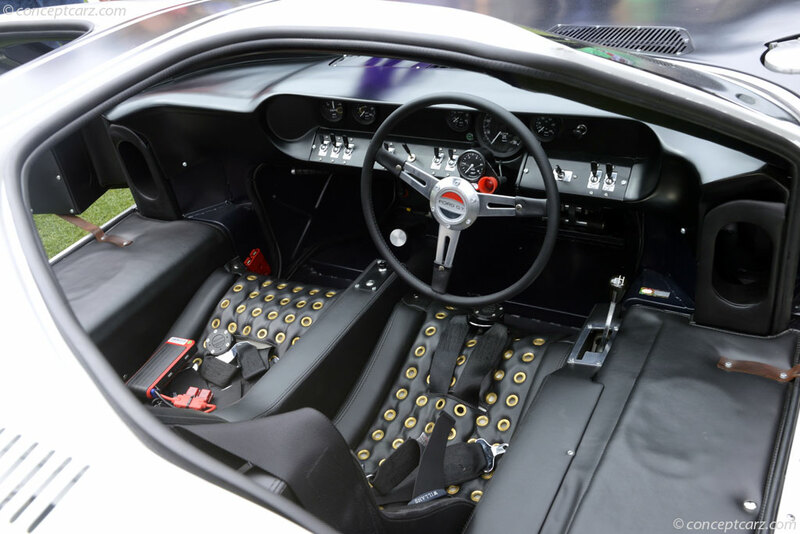 The GT40 was originally produced to win long-distance sports car races against Ferrari (who won at Le Mans six times in a row from 1960 to 1965). 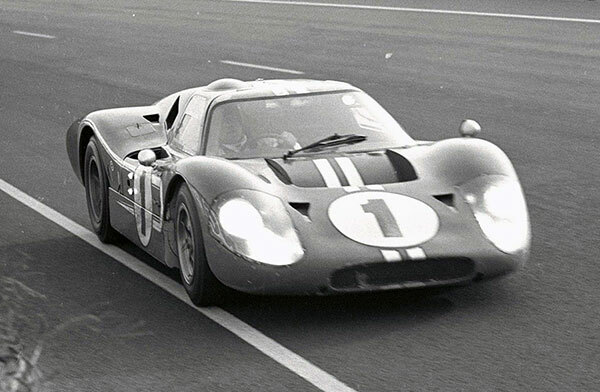 FORD/Shelby Chassis GT40P/1075, which won in 1968 and 1969, is the first car in Le Mans history to win the race more than once, with the same chassis. Since 1960, Henry Ford II wanted a Ford to race at Le Mans. After dealings with Ferrari fell through, Ford decided to produce his own car and began negotiations with Lola Cars manager Eric Broadley. The agreement between the two called for a year long collaboration that included the sale of two Lola MK 6 chassis to Ford. 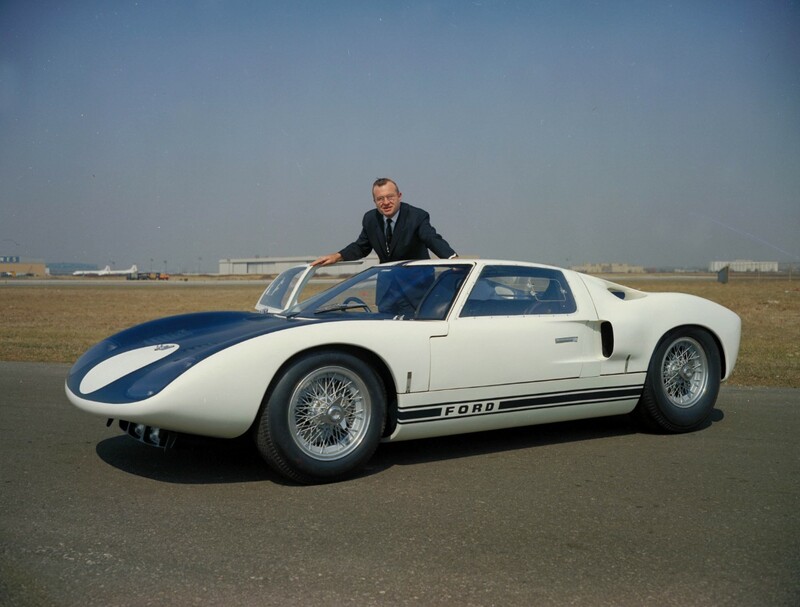 Soon after, Ford hired ex-Aston Martin team manager John Wyer to work with Ford Motor Co engineer Roy Lunn on what was to become the Ford GT. 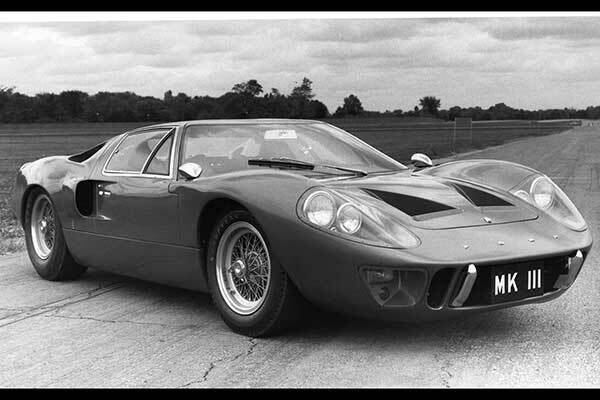 The original GT40 and MK1, designed by Lunn, was prepared at the specially established Ford Advanced Vehicles in the UK. Abbey Panels constructed the advanced monocoque chassis and the drive train finally chosen was the 289 Ford V8 mated to a Coletti transaxle. During the GT40's racing history a variety of Ford engines and even a ZF transaxle were used. 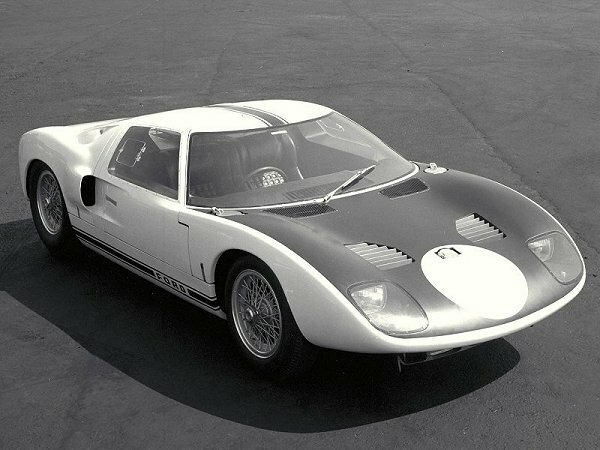 Initially named the 'Ford X-1', Kar Kraft converted the ex-Bruce McLaren prototype GT40 Roadster to Mk II specs for Shelby American. Upon taking delivery, Shelby shipped both the Roadster and the team's MKII coupe to Sebring for the 12 hour race. In early practice the automaitic transmission of the roadster could not handle the power developed by the 7-liter Ford V8 motor. Equipped with a standard gearbox for the balance of practice, qualifying, and the race itself, the race-ready roadster had the right formula for success. Lighter than the Mk II Coupe but with equal power, Miles and Ruby took it easy during qualifying and still set the 5th fastest time. Only team orders could hold it back! Miles started in the roadster and took station behind the Parkes/Bondurant Ferrari 330P3, easily matching the pace of the Italian machinery. 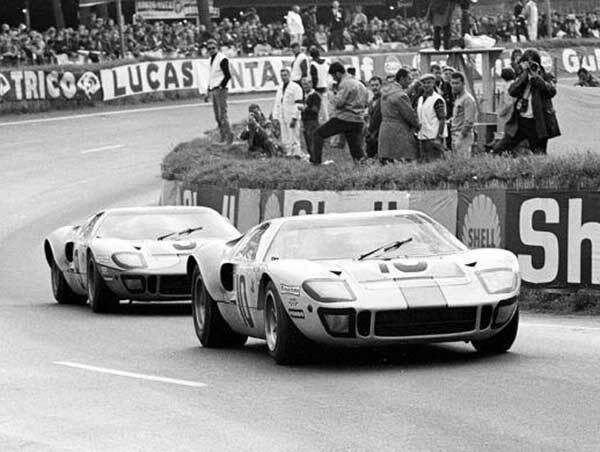 Gurney/Grant were delayed off the line but soon joined the battle up front and together the Ford teammates wore down the Ferrari. Though yet another glorious Ford victory seemed inevitable, the final order came as a shock! Shelby had ordered Miles/Ruby to maintain a comfortable pace behind Gurney/Grant. The coupe was set for success when the unthinkable happeneded and the engine seized! Gurney coasted to a stop just a quarter of a mile from the finish line where he began to push the Ford. Miles went by in the roadster and took the win! Sadely however, the GT40 Mk II Roadster scored the perfect result in its first and last race as the car was confiscated by Customes and later destroyed in 1970 due to unpaid import duties! The Ford GT is a supercar, which was built by the Ford Motor Company from 2003 to 2006. It began as a concept car designed in anticipation of Ford's centennial year and as part of its drive to showcase and revive its "heritage" names such as Mustang, Thunderbird and of course GT40. 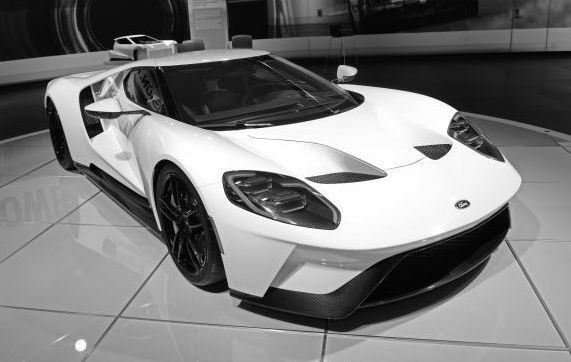 The design of the new car drew inspiration directly from Ford's classic GT40 race cars of the 60s and the GT is sometimes mistaken for its 1960s counterpart. Although similar in outward appearance to the original Ford GT40 and obviously visually related, structurally there is no similarity between the modern GT and its 60s counterpart that inspired it. As the GT is bigger, wider and taller than the original design by 3 inches. As a result, a potential name for the car was the GT43. Positive response on the auto show circuit in 2002 helped persuade the company to produce the car in limited quantities. Three production prototypes were shown in 2003 as part of Ford's centenary and delivery of the production Ford GT began in the fall of 2004. The first production versions appeared in 2005. It was a very high-performance, two seater vehicle with strong ties to its racing ancestor and performance to match. The motor was a mid-mounted supercharged 5.4 litre V8, producing 550 horsepower, while top speed was 341 km/h. A British company, Safir Engineering, who built continuation GT40s in the 80s, owned the 'GT40' trademark at that time. When they completed production, they sold the excess parts, tooling, design, and trademark to a small Ohio company called Safir GT40 Spares. 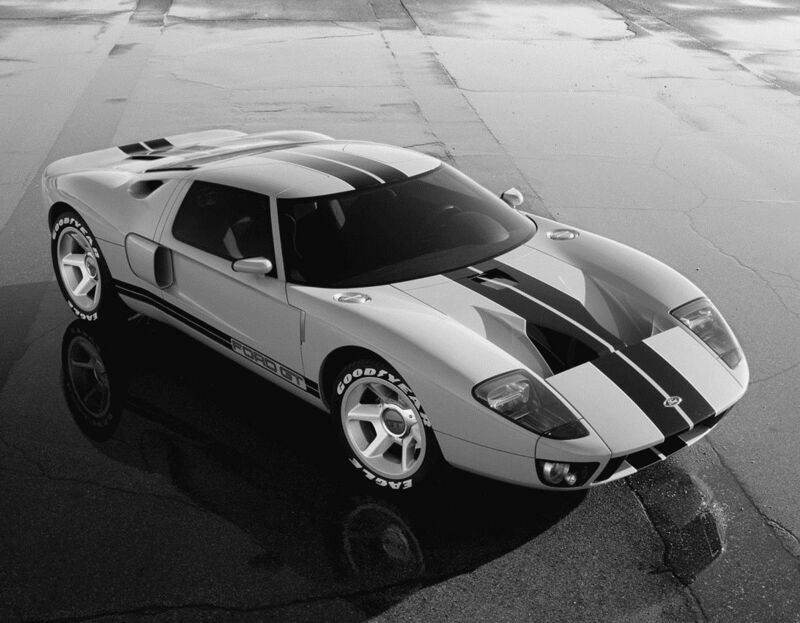 This company licensed the use of the "GT40" trademark to Ford for the initial 2002 show car. When Ford decided to make the production vehicle, negotiations between the two firms failed. 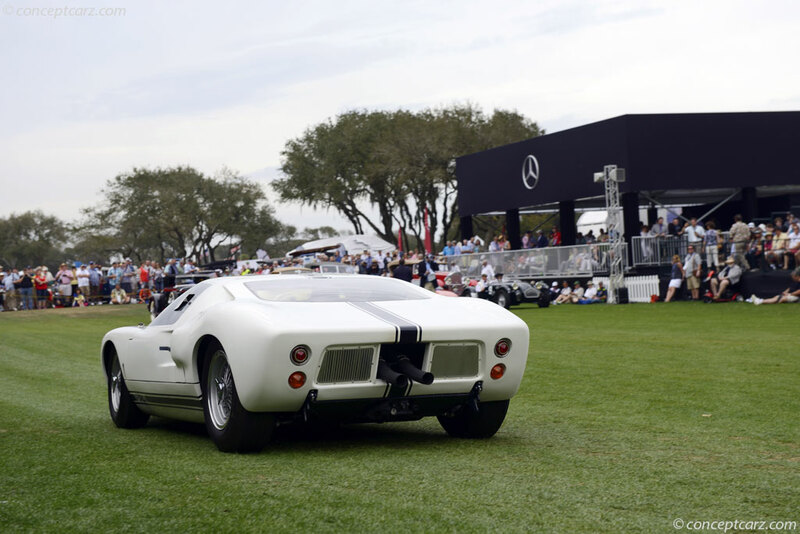 Subsequently, the production cars do not wear the GT40 badge. The Ford GT1 reflects in true fashion the spirit of its historic predecessor, the legendary GT40 of the 60s. 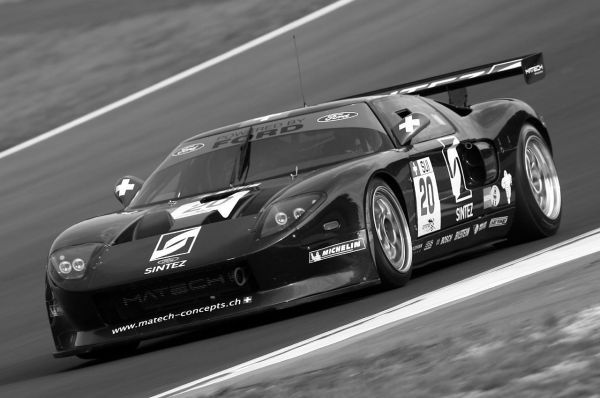 Having returned to motorsport in the GT3 class in 2007, Matech Concepts had proven the Ford GT's value by winning the 2008 FIA GT3 European Teams Championship. It was then time to enter the next level: Matech Concepts, anticipating a new era in GT racing with the Ford GT1 went on to represent this heritage at the pinnacle of GT racing from 2009 as a GT1 car. Based on one of the most powerful V8 engines in Ford's arsenal, the Ford GT1 Cammer 5.0L engine produces 600 bhp and 640 Nm of torque. Both figures were very impressive even when compared to those of the 7-litre engines that won the 24 Hours of Le Mans in 1966 and 1967. The Ford GT1, developed by Matech Concepts, was the first of a new-generation GT1 cars to be entered in the FIA GT Championship on a full-season basis. Two cars were entered in 2009, the first by Matech GT Racing and the second by Belgian team Marc VDS Racing. "Engineered to keep company with exotics" is how Ford modestly refers to its bombshell 2015 Detroit auto show debut, the GT hypercar. The concept's appearance wasn't a huge surprise, as we learned months ago that Ford was taking a new GT to Le Mans in 2016, and such a car must be homologated. But as it slinked onto a stage at Detroit's Joe Louis Arena, Ford kept feeding us a host of stats that had our jaws opening wider by the second. It packs more than 600 horsepower. It utilizes full carbon-fiber construction and body panels. It has active aerodynamics. The new GT is poised to not only keep company with other exotics, but perhaps also force them to up their game. 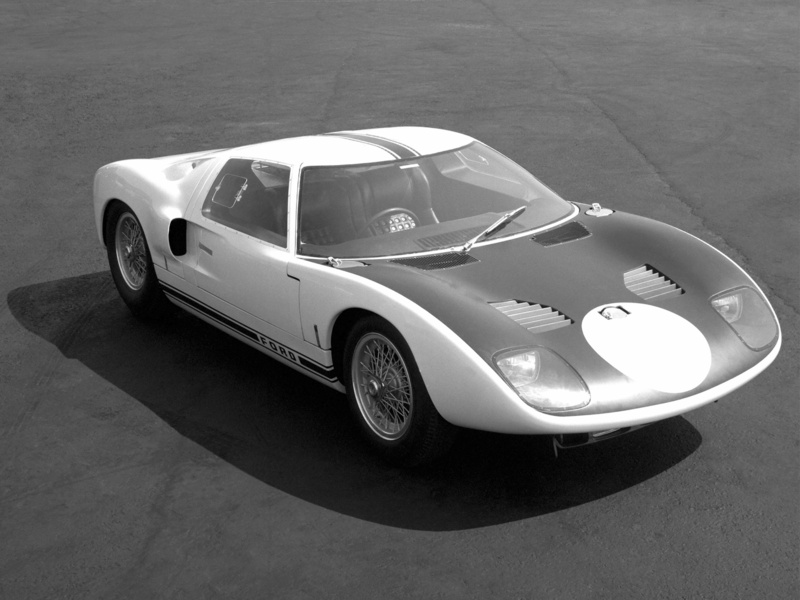 1964 Ford GT Prototype #GT/101. 1964 Nürburgring 1000 Kilometres - Ford GT #GT/102 - Ford Advanced Vehicles driven by Phil Hill and Bruce McLaren. 1965 Le Mans - Ford GT Roadster #GT/109 - Ford France driven by Maurice Trintignant and Guy Ligier. 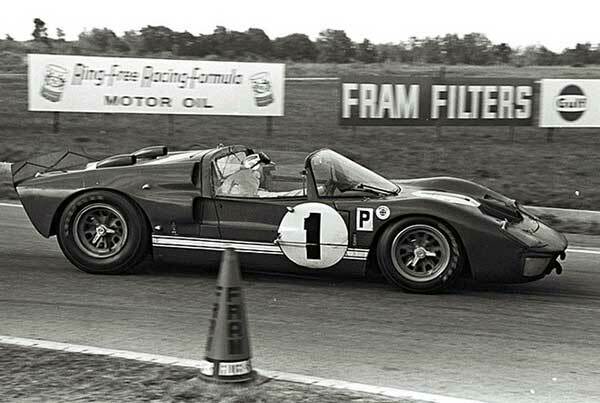 1966 Sebring 12 Hour winner - Ford GT40 MKII Roadster (X1) #GT/110a - Shelby-America Inc. driven by Ken Miles and Lloyd Ruby. 1966 Le Mans winner - Ford GT40 MKII #GT40P/1046 - Shelby-America Inc. driven by Bruce McLaren and Chris Amon. 1967 Ford GT40 MKIII GT40P/1101 - Road going version only (seven were made). 1967 Le Mans winner - Ford GT40 MKIV #J5 - Shelby-America Inc. driven by Dan Gurney and A. J. Foyt. 1968 Le Mans winner - Ford GT40 MKI #GT40P/1075 (background) and #GT40P/1074 (foreground) - J. W. Automotive Engineering Ltd. winnings drivers, Pedro Rodriguez and Lucien Bianchi. 2008 Ford GT3 - Matech. 2015 concept car - Ford GT hypercar.